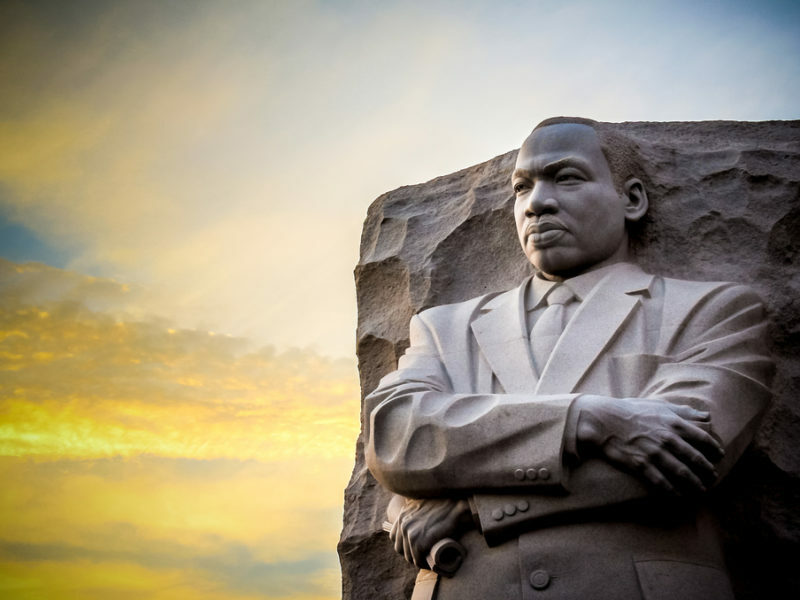 MLK Day – How Can We Learn To Live Our Lives With Influence Like Dr King Did? Dr Martin Luther King Jr was many things – activist, leader, teacher – but before everything else, he was a pastor and a follower of Jesus. Every year as our nation celebrates his life, I feel a sense of gratitude that’s hard to describe…I’m a pastor myself, and over the years, I have been challenged and encouraged by Dr King’s work. Think for a minute about how he changed the social disposition of our country. Without the use of force, he inspired change in individuals and society in ways few others have. And I can imagine what would happen if the Church wielded the same kind of influence, inspiring people to welcome in the Kingdom of God, especially in the areas of life that are complex or dark. How amazing would that be? As I reflect on this holiday and on this statement, I can’t help but ask myself a simple question: How can I learn to live my life with influence like Dr King did? So many of us can’t grow individually or influence our communities because of what he calls “inevitability” – the idea that the future is already written, and we’re just waiting around to watch it happen. The chorus of a popular song from 2017 expresses this well: “If it’s meant to be, it’ll be, it’ll be…Baby, just let it be.” There’s only one problem: inevitability is a lie. Knowing God has a plan for us no matter what happens is hugely reassuring. But on the other hand, none of us are robots just shuffling along a track laid out for us by God. He gives us freedom to choose how we walk through life. So our future is not inevitable…we help decide the outcome. If I’ve learned anything from Dr King, it’s this: change is always possible. And we can be part of that change. But how does that change unfold? I’m so glad you asked! Because Dr King left us a model to follow. First, change comes from the tireless efforts of people. People have tremendous potential for all sorts of things, good and bad. And under various circumstances, people can be forces of evil or forces of good…That’s the challenge of being human. Accepting the responsibility each of us has to live as change agents for good is the beginning of the process. And don’t miss this key word from that sentence: “Tireless.” Many of us shy away from being change agents in the world because of the cost – change takes tremendous time and energy, doesn’t it? So we need a vision. When we have a vision for change, that vision drives us into full and perfect effort to see that vision become a reality… So what is that vision for you? Your tireless effort depends on you finding a vision you can get behind whole-heartedly. But Dr King is not encouraging us to choose our own vision to work tirelessly in. He’s saying there’s already a vision we need to involve ourselves in tirelessly. And that brings us to the second key aspect of change: we are invited to be coworkers with God in hisvision to change the world. Sometimes we forget God already has a vision for the world. This is what gave Dr King such tremendous passion and drive, as well as such great influence with other people: he knew his work as a civil rights activist was part of a greater calling – a divine calling. It was a response to God’s invitation to be a coworker in a vision to literally remake society. If we want to become coworkers with God, like Dr King, here are three simple questions that help us take that step. To be a coworker with God, we need to know God. Dr King knew the God of the Bible, the God who empowers people to live transformed lives by the power of the Holy Spirit. And this God knows us and wants to be known by us. It makes sense when you think about it…just like with any job or work we do, we need to take the time to know our boss and our coworkers. It’s no different when we engage in Kingdom work. You can’t do a job without showing up for work. If you’re not available, good luck keeping a job! In the same way, in order to join God’s work, you have to be available. I love the old saying, “God is not looking for ability, he’s looking for availability.” It’s true! All through the Scriptures, we see God partner with people who aren’t the most gifted or skilled, or even faithful. He partners with people who are simply available. It’s a key step toward living out his vision for the world. Sometimes whether or not we’re coworkers with God isn’t a question of time, it’s a question of desire. It’s one thing to know God and be available. But it’s another thing to know God, be available and be willing to go. I know how it feels… sometimes we just don’t want to have to deal with everything God’s invitations involve. And when we don’t want to join in the work, we keep him at a distance. The essence of faith is a willingness to step out and partner with God to transform the world. If we work on these three things we not only become coworkers with God, we can pursue progress and change, with a tireless effort. That’s the vision that fuelled Dr Martin Luther King Jr And that same vision can change our world for the better today.